Usually balance and strength training exercises, Pilates or Tai Chi effectively reduces falls and fractures. This is effective specially when carried out by occupational therapists. For example, better lighting in dark areas, removing loose rugs or clutter that one could trip over, and installing hand rails around the toilet and in the shower where an older person could slip. According to this study, it also appears that some medications increase the risk of falling. Drugs for improving sleep, reducing anxiety, and treating depression (psychotropic medication) have been implicates in falls. Speak to your doctor if you feel like your balance or mobility has been affected since you started a new medication. Your GP may be able to alter your dose to help improve those symptoms. If you are concerned about falling and your mobility and independence has been adversely affected by it, a consultation with a physiotherapist is recommended. 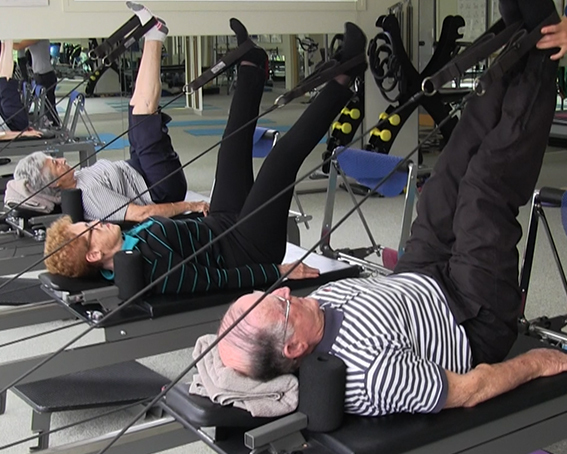 We can assess your risk of falling and design a specific exercises program to help improve your strength and balance. Some mobility aids may also be necessary. Let us help you get stronger, increase your ability and confidence and reclaim your independence! Call us on 9532 8001, one of our Physios will gladly help you to help yourself, with a program you can manage at home. Gillespie LD, Robertson MC, Gillespie WJ, Sherrington C, Gates S, Clemson LM, Lamb SE. “Interventions for preventing falls in older people living in the community”. Cochrane Database of Systematic Reviews 2012, Issue 9. Art. No. : CD007146. DOI: 10.1002/14651858.CD007146.pub3.